Today I added the top image and caption to the Trombone History Timeline (16th century). 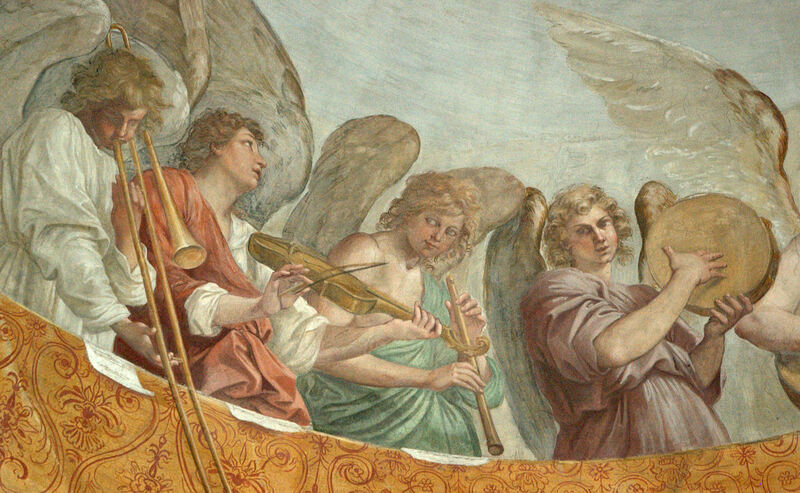 Included below that are two additional historical images that show a trombone hanging on a wall. Interestingly, all three are entitled Music, and all three images appear to serve a symbolic rather than literal function. 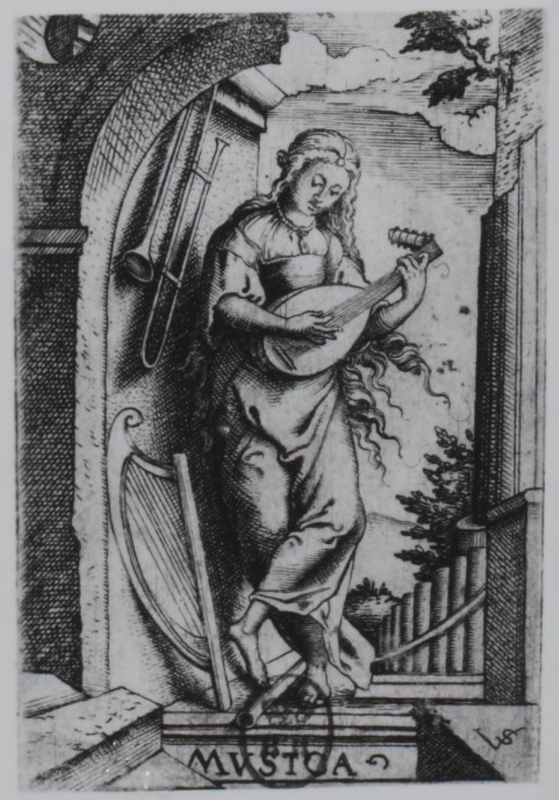 c. 1550—Nuremberg, Germany: Musica, a print by Virgil Solis, includes a trombone hanging on the wall (see below image; public domain) (French National Library). 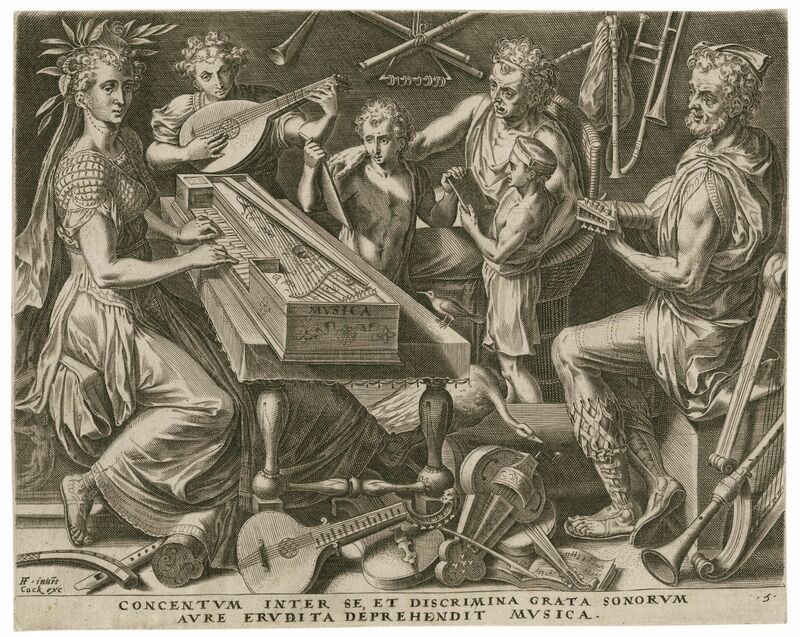 1565—Musica, an engraving by Dutch artist Cornelis Cort from a series called the Seven Liberal Arts (after works by Frans Floris) includes a small trombone hanging on a wall in the background (see below image—click to expand; public domain) (Burgers 99). 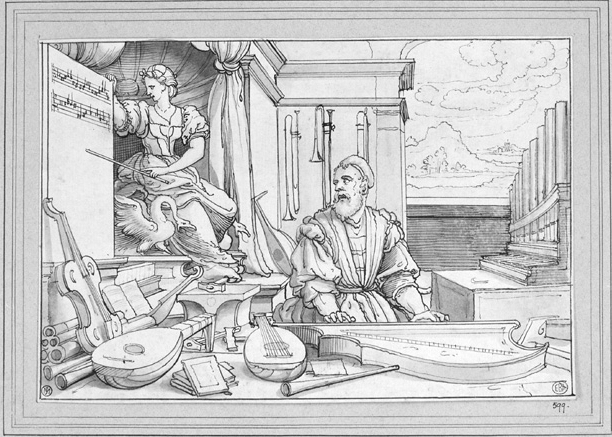 c. 1575—Italy: Jan van der Straet (sometimes know as Stradanus), probably working in Italy, includes a trombone hanging on a wall in his La Musique (see below image; public domain) (source: École des Beaux-Arts).